The Pacific Coast Highway is not the fastest way to drive through Oregon and California, but it is certainly the most scenic route. As we drove south from the Tacoma area we were thrilled with the views of the Pacific coast, especially after we crossed the Oregon border. The rugged coastline was impressive! 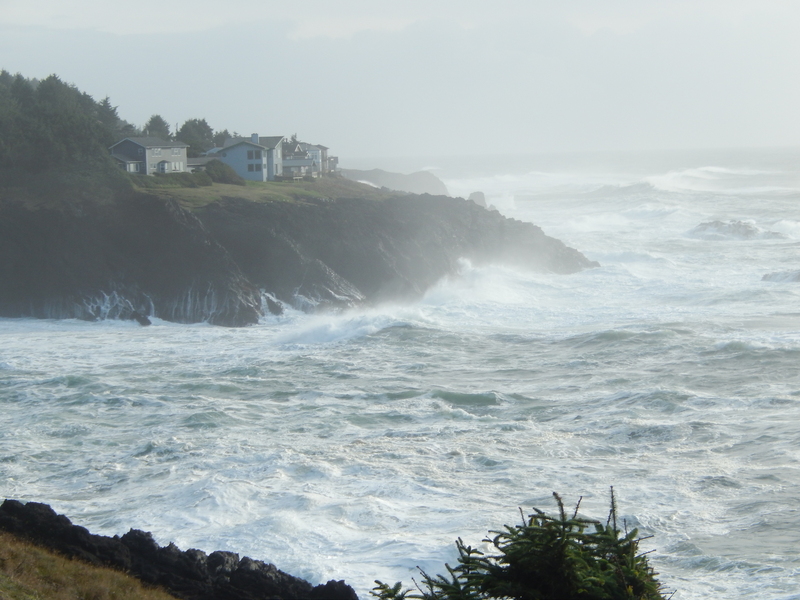 We had to pull over on several occasions just to stand and watch the waves battering the rocky coastline. We stayed at the Beverly Beach State Park in Oregon. We had a great campsite where we had only a short walk to the shore. 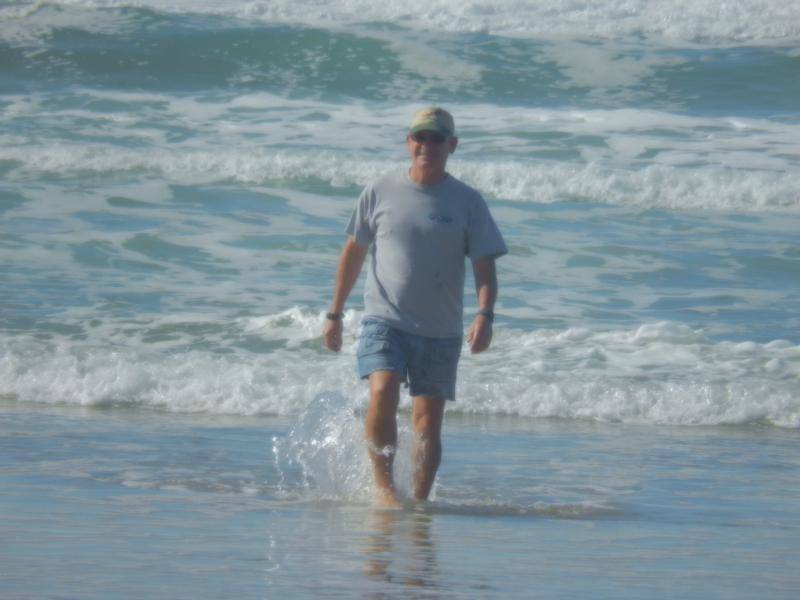 We enjoyed walking to the beach to splash in the surf and just chill out. We checked out some of the local sights. Devil’s Punchbowl State Park a little north of us, and there were we saw some great rock formations and wild waves and surf action. There was a small winery right across the road from the state park. They had some wonderful Blackberry wine! 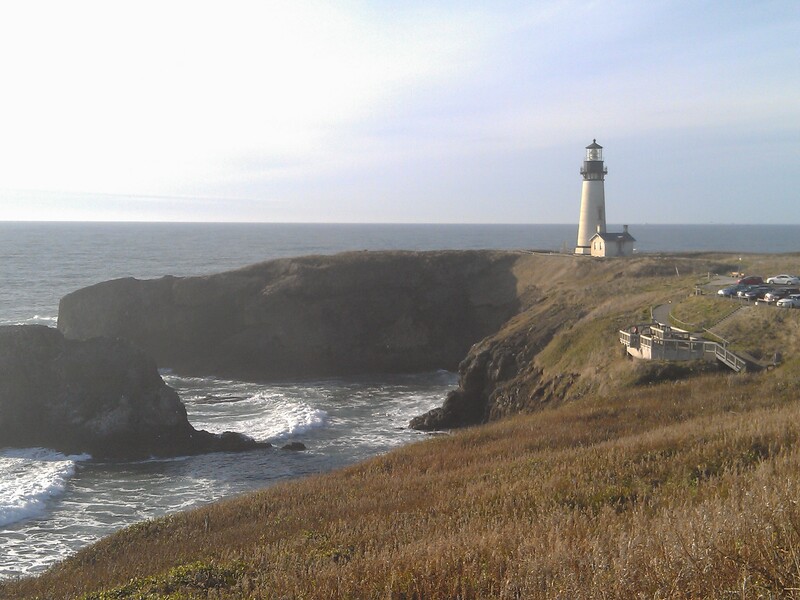 From there we visited the Yaquina Head Outstanding Natural Area and the Yaquina Head Lighthouse. This is the tallest lighthouse in Oregon. 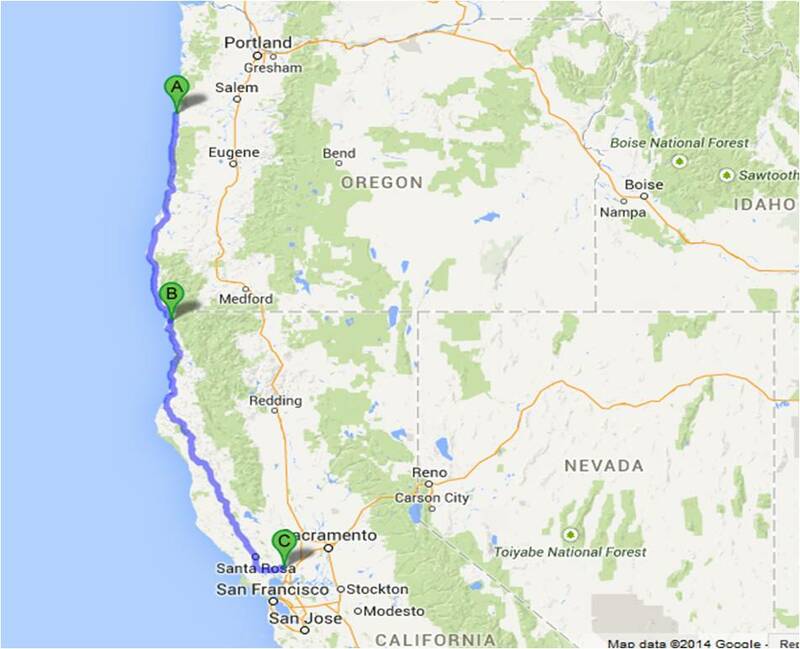 Our next stop was the Redwoods National and State Parks near Crescent City, CA. This is a great example of state and federal government cooperation, integrating state and federally-owned land into one system of parks. 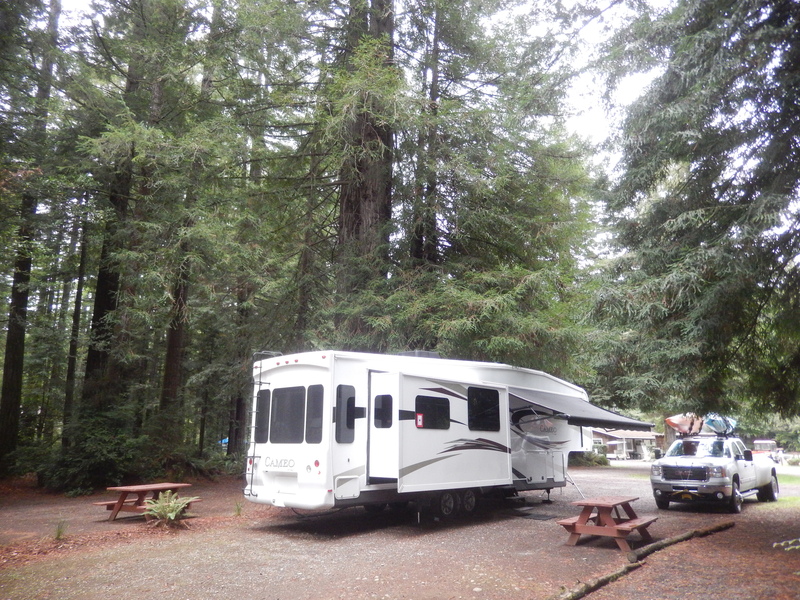 As with a lot of state and federal parks, our trailer was too long for any of their campgrounds, so we stayed at the Redwoods RV Resort. 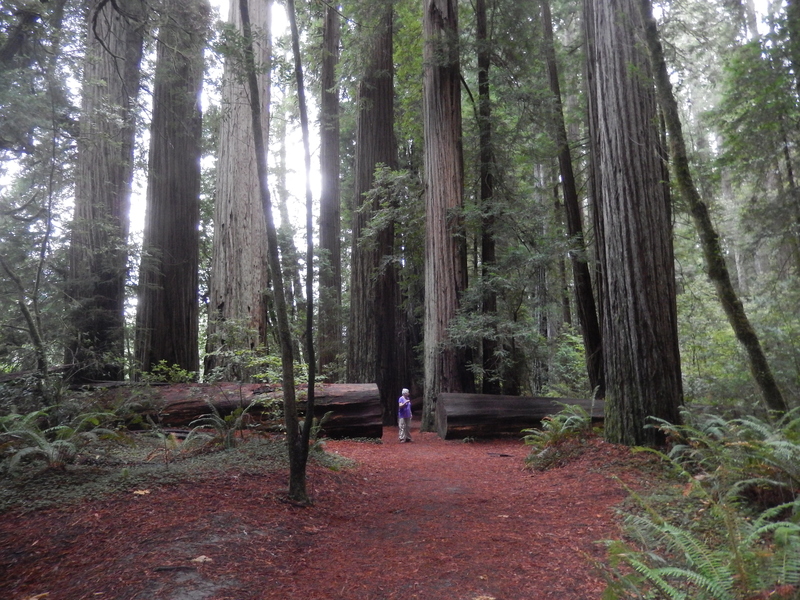 This park was nice with sites integrated into a redwood forest with plenty of room and privacy. 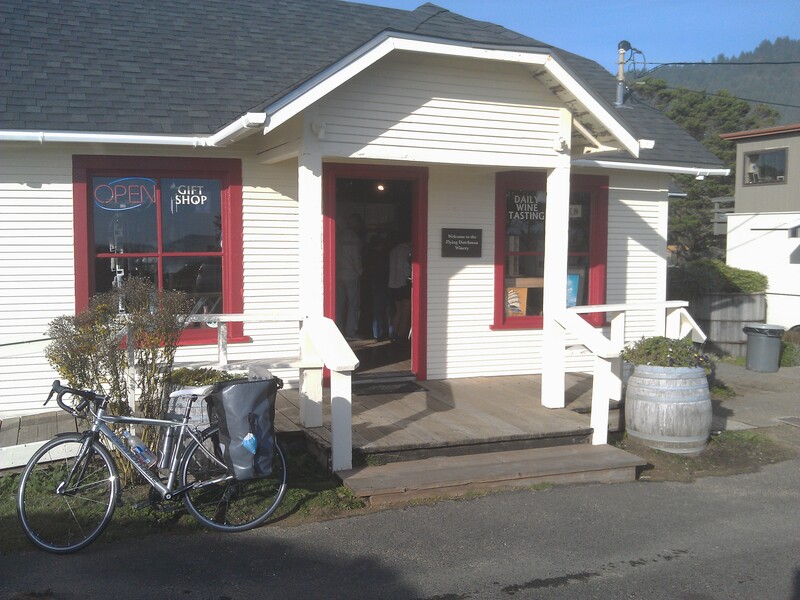 Our first stop in Crescent City was the park Visitor Center and we received some excellent advice on the best places to hike in the redwoods. 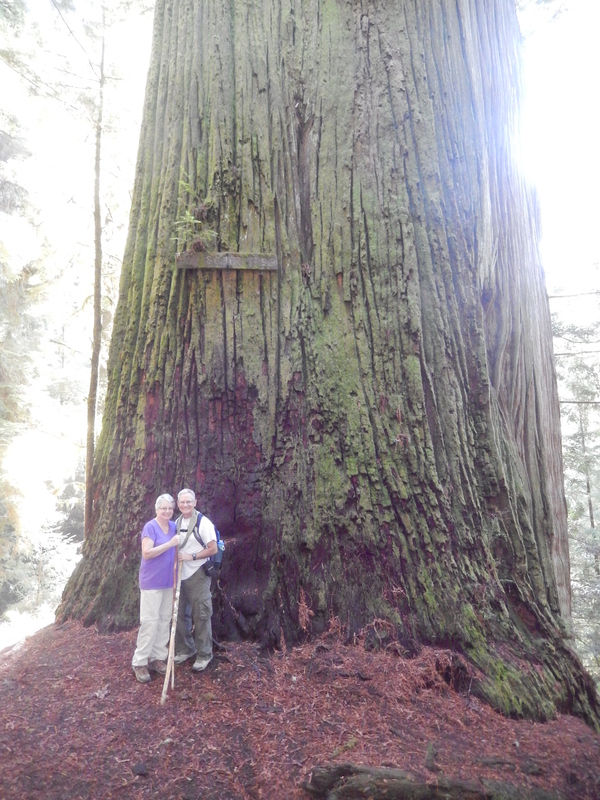 As we hiked along the Boy Scout Tree Trail I was awed by the size of the trees, it was just one huge tree after another. We saw redwoods growing out of other fallen redwoods! Another hike was in Stout Grove, where we were in a more mature forest with less undergrowth – a big change from the Boy Scout Tree Trail. 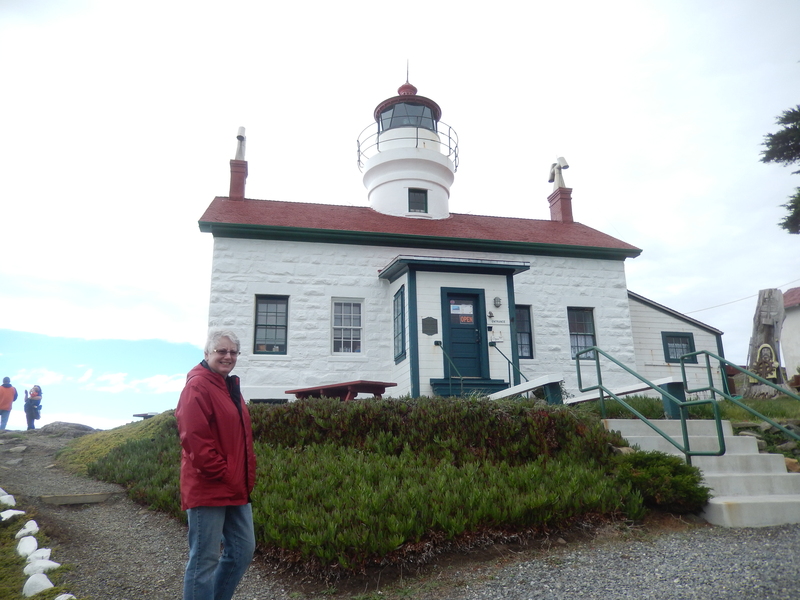 The next day we toured the Battery Point Lighthouse. This is a privately-owned, but operational “aid to navigation.” Volunteers stay overnight on a monthly basis to maintain the light, lead tours and run the gift shop. During the summer, they have additional volunteers stay at a nearby RV park to supplement the volunteer lighthouse keepers – we may look into that in the future. The lighthouse is well maintained and in the period furnishings of its earlier years. An interesting fact is that you can only get to the lighthouse at low tide, because the high tide turns the peninsula the lighthouse is on into an island! After the lighthouse, we hiked back into a great beach. 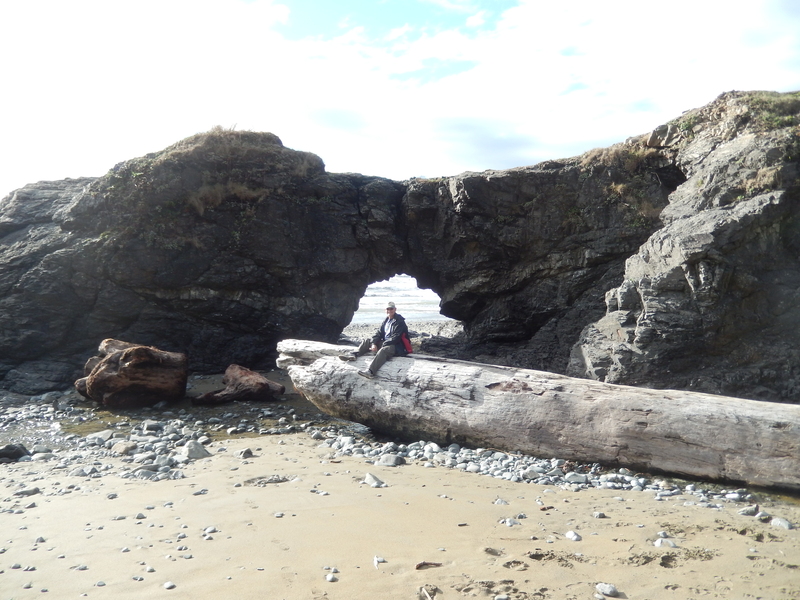 There were some impressive rock formations and some shelters that had been built from driftwood. We passed a hike-in campground that gave me ideas of backpacking here sometime in the future. 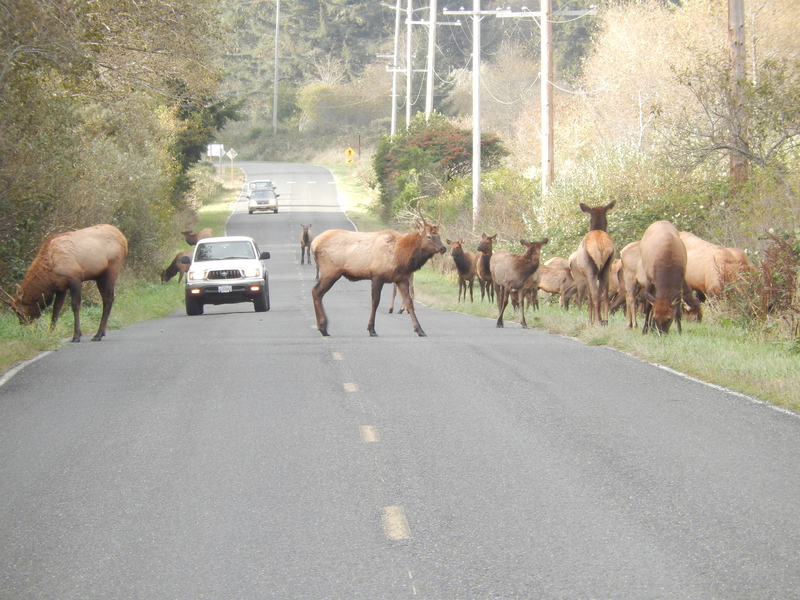 On our drive back to the campground, we had to stop and wait for a herd of elk to finish crossing the road – they were in no hurry! The next morning we were on our way to the Napa Valley. 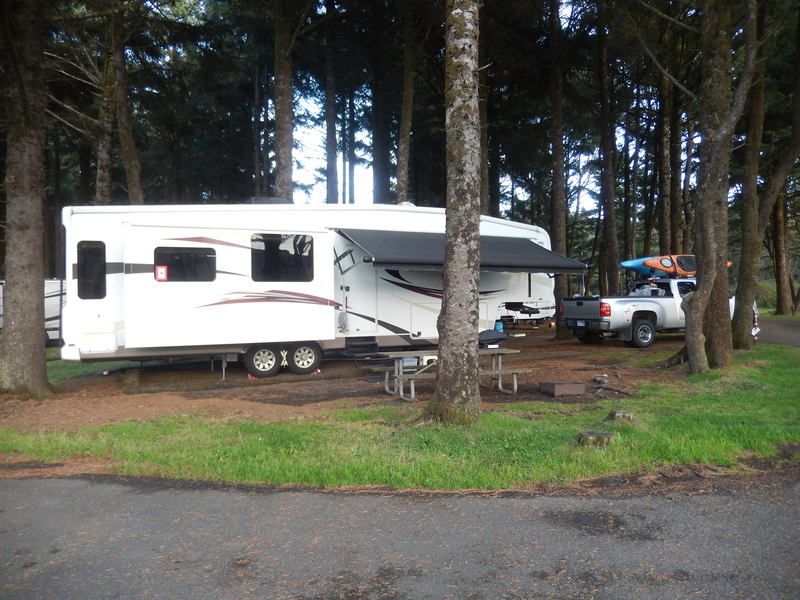 This entry was posted in Fulltime RV, Michigan Traveler, National Parks, Oregon and tagged Battery Point Lighthouse, fifth wheel trailer, full-time RV, fulltime RV, Redwoods National and State Parks, RV Forums, Yaquina Head Lighthouse. Bookmark the permalink.